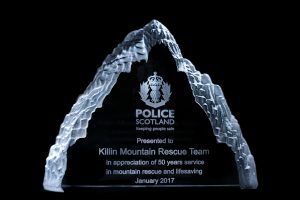 50 years service by Killin Mountain Rescue Team recognised by Police Scotland. 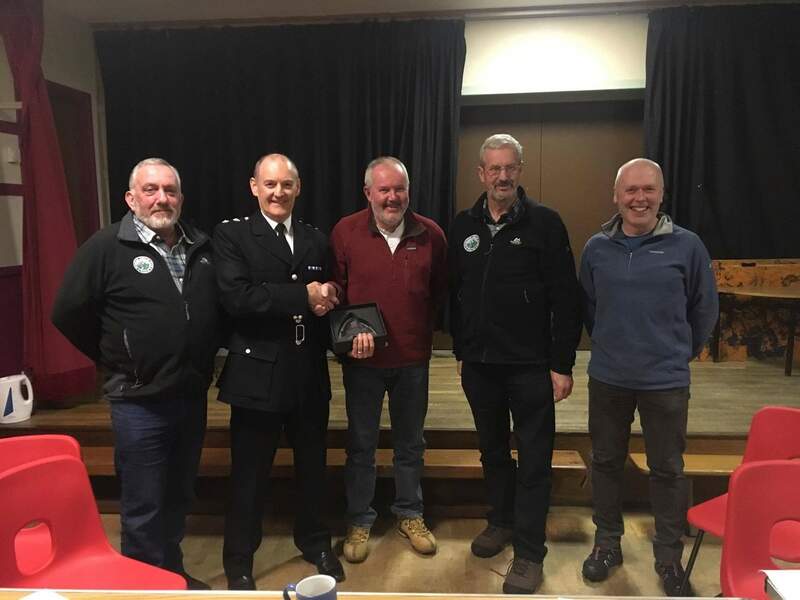 Chief Superintendent Stephen McAllister, Police Scotland received a warm welcome at Killin Mountain Rescue Teams AGM on Sunday 19th February, 2017 when he formally recognised and thanked all team members for the 50 years service within the rural communites that they serve. Chief Superintendent McAllister provided a speech covering the history of the team detailing the high and low points of the past 50 years and its close partnership with the Police during the period. The team had completed over 1000 rescues and been responsible for assisting and saving 1000s of lives in the past 50 years. Unfortunately there were many low points recovering people who had lost their lives on the hills and tragedy had struck the team itself when Team Leader Harry Lawrie BEM lost his life in 1987 in a helicopter crash on Ben More. However there were many happy occasions when the team recovered people safely from the mountains and returned them to their families. 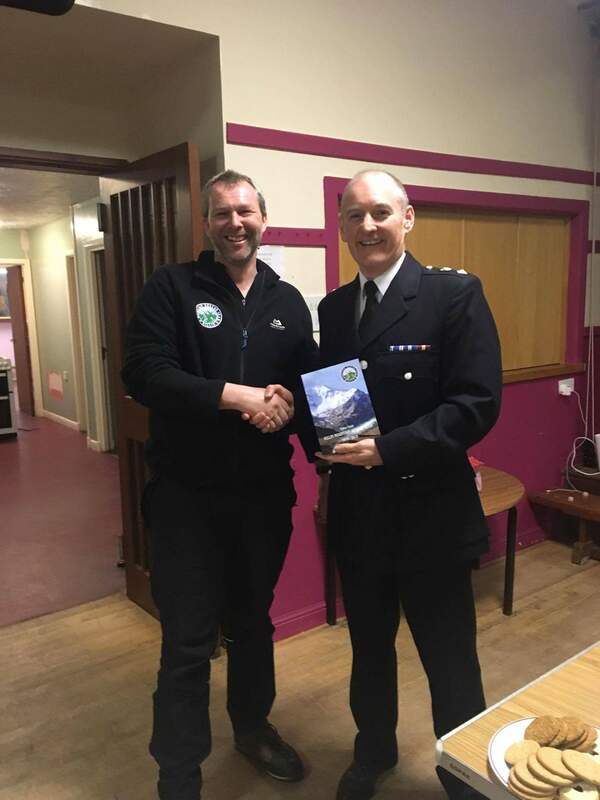 The team was presented with a glass plaque from Police Scotland to mark the occasion, and the team presented Mr McAllister with a book “Tales of Killin MRT” produced from members own accounts of the teams activities.